Freudian Mythologies is a collection of chapters and articles by Rachel Bowlby on Freud's use of Greek myths, and the implications of his usages of these myths specifically for thinking about psychoanalysis. How, Bowlby asks, are notions of the historical and social produced in Freud's texts through his use of Greek myths, and how, in turn, can ideas about contemporary history and society be related to psychoanalysis? In other words, central to Bowlby's preoccupations here are ideas of timelessness (the unconscious) and timeliness (consciousness, history, and society). Most of all, Bowlby is importantly asking, (how) can ideas about the family and gender change (can ‘identities’ be ‘modern’?)? She is referring particularly to pressing questions to do with the ways new reproductive technologies are often thought of as changing the family, while in the case of gender, at issue is whether, and how, social gains in terms of greater equality of opportunity and choice allow for revisions of psychoanalytic ideas about femininity. The chapters each take a specific focus on aspects of the family and gender, in several (but not all) cases in relation to the vicissitudes of specific Greek myths. The concluding chapter on ‘Retranslations, Reproductions, Recapitulations’, provides a vital theoretical backward glance over the entire volume, and is crucial to understanding the way Bowlby is rereading connections throughout her own originally separate pieces in relation to the terms of that chapter title: the close attention throughout the book to issues of translation (including ‘literally’ with respect to translations between Greek, Latin, German, and English) and recapitulation (including ‘literally’ her own extensive re-tellings in turn of classical myths) are at the same time impressive performances of the theoretical implications of Bowlby's concerns. The close and attentive readings of the Freudian primary texts, and the changes, shifts, and variations within them, are wonderfully lucid. On the other hand, although many issues are implicitly clarified by Bowlby's scrupulous analyses, readers will not find extensive discussion of many other debates around either psychoanalysis or Greek myths: Bowlby is mostly re-telling and considering the myths through her own reading and analysis. This means that previous work from these disciplines that might have had a bearing on Bowlby's thinking here is sometimes somewhat under-used, or left somewhat to one side. This becomes particularly apparent with respect to the primary justification and motivation for undertaking all these analyses: ‘reproductions’ and ‘modern identities’. For there is of course a great deal of prior material on the timelessness or timeliness of the family and gender, and yet these debates are only noted here in a marginal way, often only in brief footnote references. Bowlby's own considerations in this volume are highly suggestive, and importantly highlight further the central importance for new reproductive technologies of taking into account the psychoanalytic refutation of ideas of parentage and the family being able to be claimed as having, or being, a definitive ‘source’ or ‘origin’. But this suggestiveness does not engage with the extensive prior work in this area in, for instance, critical anthropology (Sarah Franklin's Embodied Progress (1997) is referred to but not discussed), or critical theory (Judith Butler's Antigone's Claim (2000), again, is referred to but not discussed), leaving many of the implications to be indirect and mentioned only in a condensed and brief (‘recapitulated’) form. 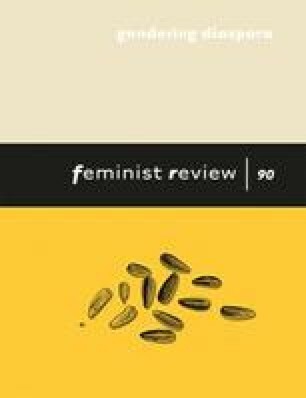 Finally, when it comes to gender, Bowlby often asserts, in just a few lines, that with changed social conditions for women, psychoanalytic theory is no longer (fully) valid in terms of its ideas about femininity. While noting, for instance, that despite social change in the status of women ‘[s]ince Freud's lifetime’ (p. 167) ‘[b]oth sexes, … are [still] subject to the limitations as well as the opportunities of their place in the “cultural community”’ (p. 167), Bowlby still concludes that ‘it seems anachronistic and needlessly hopeless now to cling to a myth in which women's most fundamental conflicts are determined by the realization that they are women, not men’ (pp. 167–8). And the final lines of the whole volume assert that ‘[w]here there is recapitulation something else follows – a different conclusion, … a possible new beginning. And one in which women, too, may get a life’ (p. 234). Performing both a play on and a dismissal of Freudian repetition compulsion, Bowlby's analyses evade engagement with Juliet Mitchell's (1973) famous arguments instead of refuting them, even when she remarks in a characteristically brief footnote that: Mitchell's book ‘was the first to make the case for … the indispensability of psychoanalysis to feminist understanding’ (p. 96, n. 37). Frustratingly, then, this book turns out already to have known the answer to the questions it appeared to start out with: in the final analysis, after all, the diagnosis is anachronism.